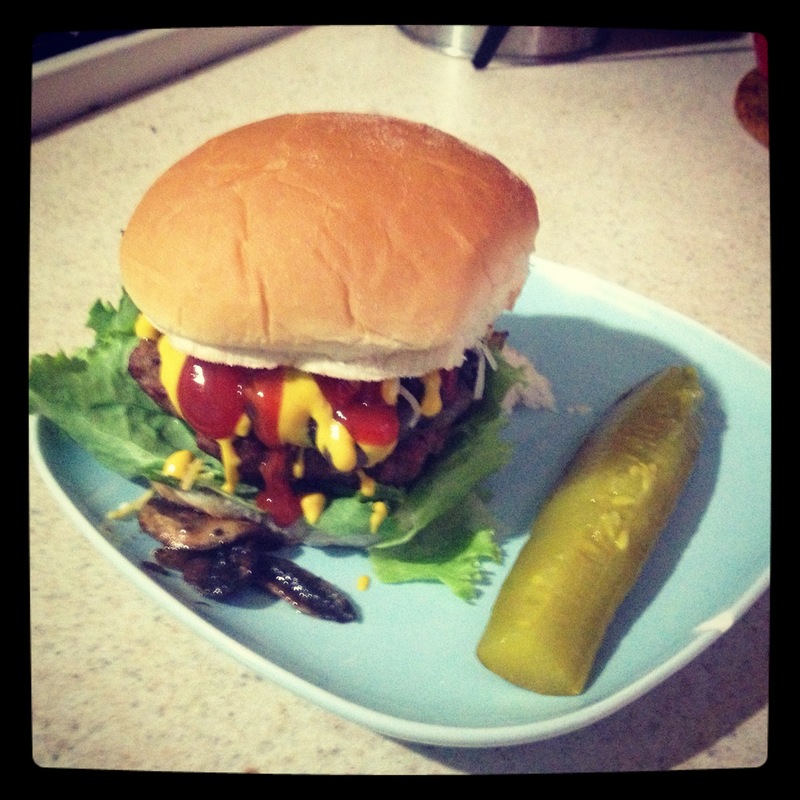 »Food»Make This Burger! SpongeBob Would Be Proud! Make This Burger! SpongeBob Would Be Proud! Today I woke up with an intense craving for hamburgers. I debated going to McDonald’s, but decided that the best course of action would be to go grocery shopping like an adult and make my own food at home. The upside would be that I could use the leftovers for food later in the week and save myself money in the longs run. Also, it would mean not eating at McDonald’s and that’s never a bad thing when it comes to your health. 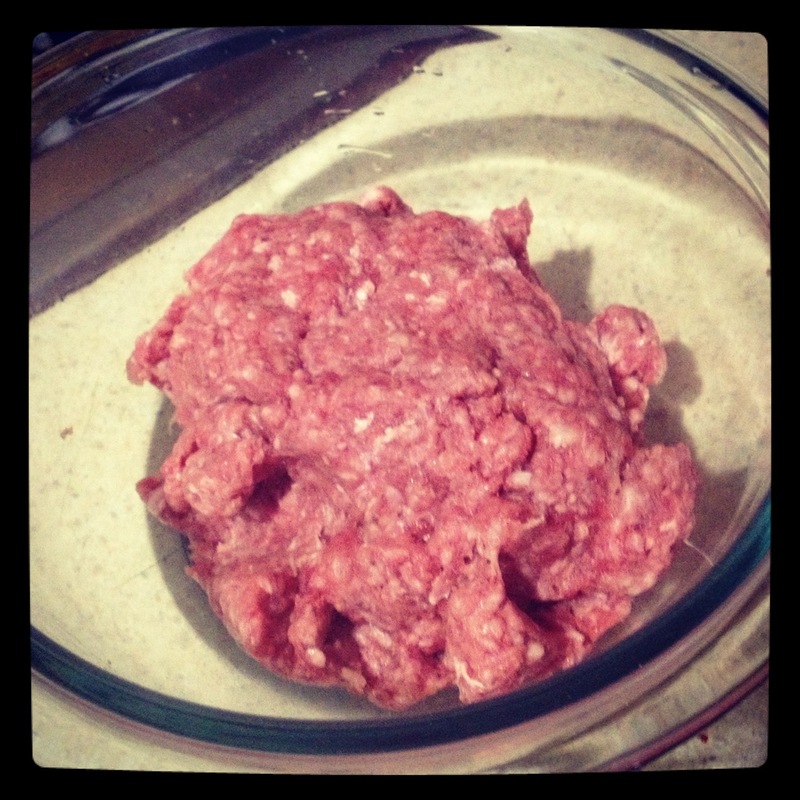 To start off, take your ground beef, empty it into a bowl. Adding salt and pepper, season it somewhat liberally, since you want the beef itself to have a good flavor to it and not rely exclusively on the condiments. If you can manage to get a higher quality beef from your butcher, you can lighten up on seasonings because high grade meat has a wonderful taste all its own. Once you’ve seasoned the beef, it’s time to get your hands dirty. Smash and mix the beef with your hands, making sure the seasoning is being distributed evenly all through the meat. Once your beef is seasoned, take your onion that’s been chopped and add it to the meat. Mix this in as well (yes, with your bare hands!) It’ll add moisture and flavor to the meat. 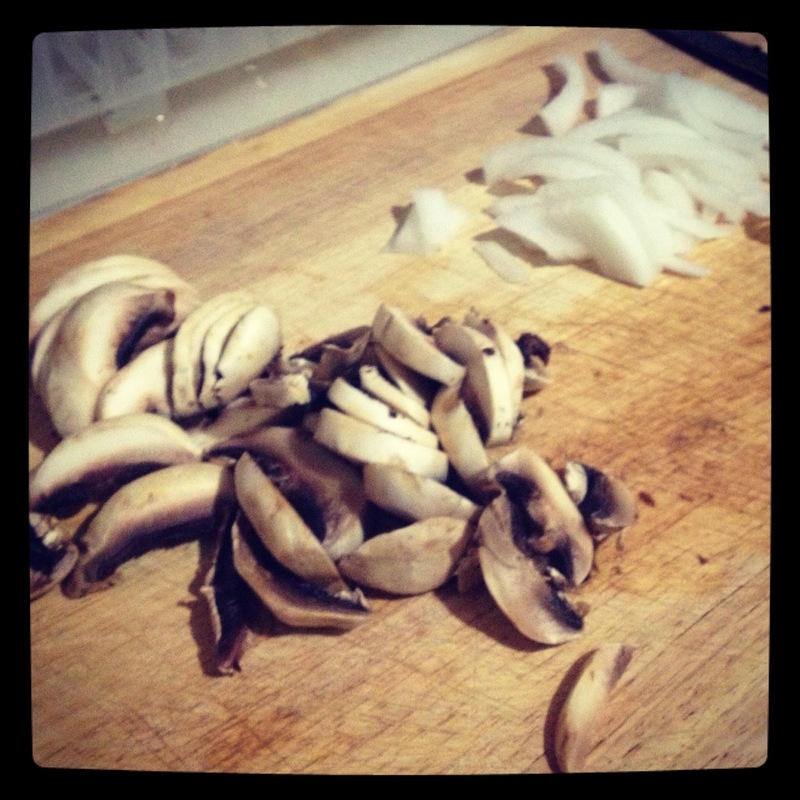 If you’re not an onion fan, feel free to omit this step. Set aside combination. 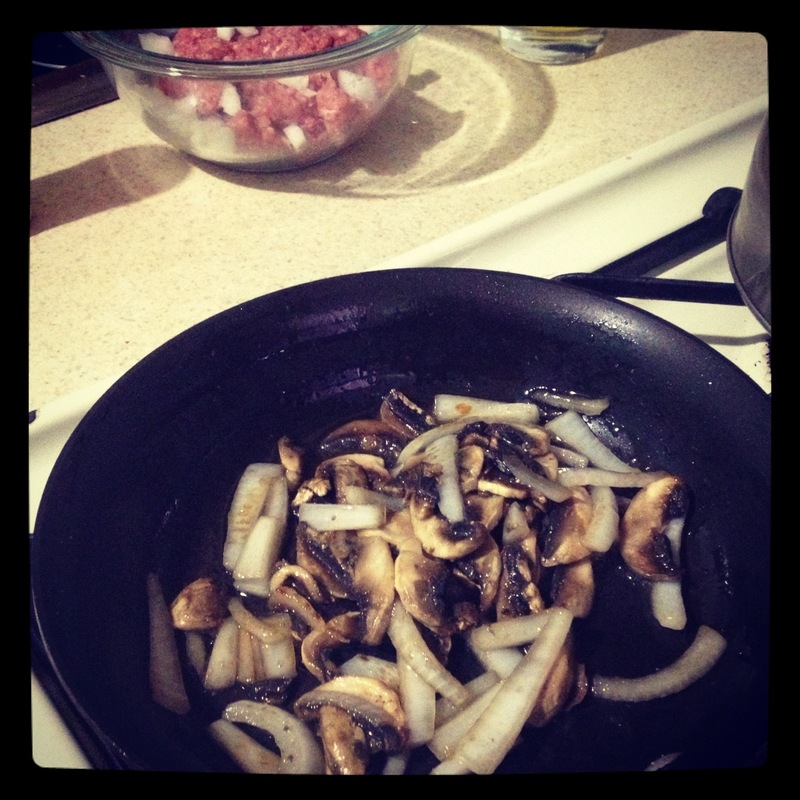 Add some olive oil to a small pan and on a low heat sauté your left-over sliced onion. 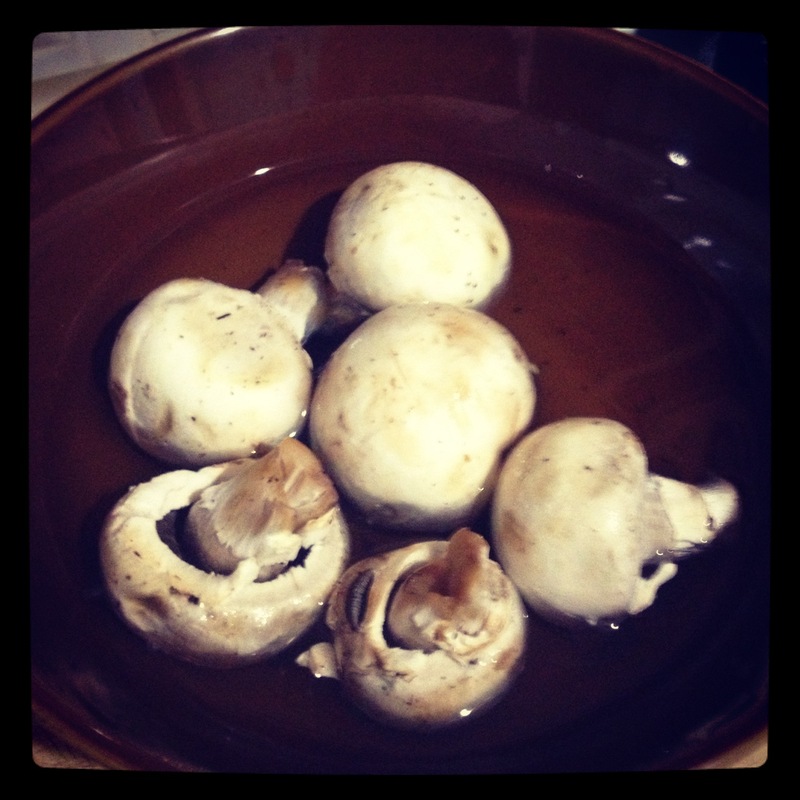 Once they begin to get soft, add your sliced mushrooms and season with salt or garlic salt. Once they’ve become soft and the water has cooked out, set aside. Now, it’s time to start making your patties! Take about a palm full of ground beef in your hand. Shape it into what a normal patty would look like (i.e. Round disk) and place on a plate while you make the others. Take a larger pan or skillet and turn on your burner to medium heat. You can grease the pan with a little olive oil or Pam, but don’t over grease because the meat itself will release a lot of liquid and you don’t want to drown your burger. 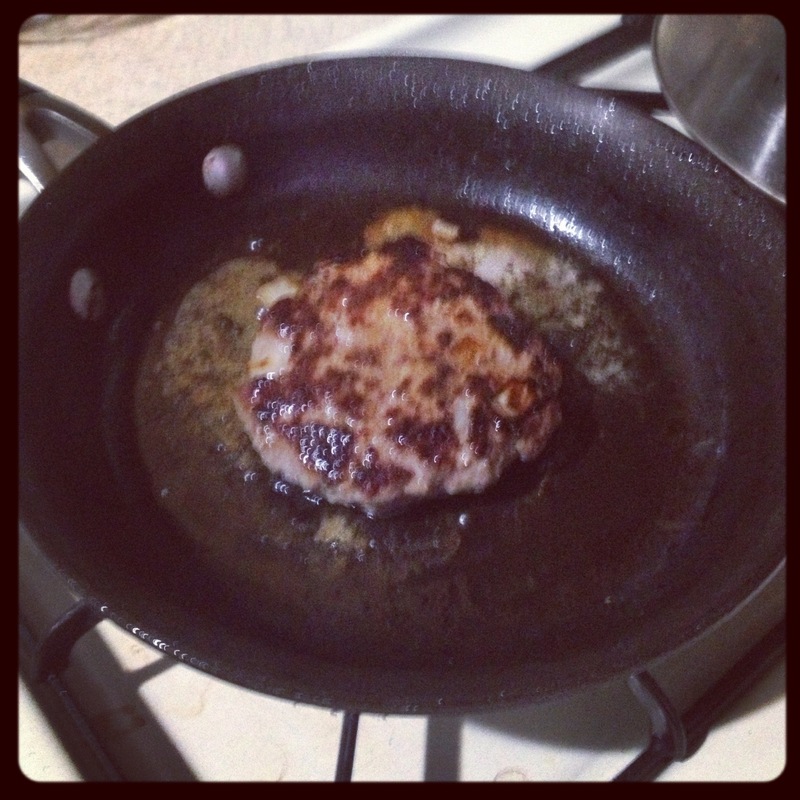 Once the pan in hot (but not bursting into flames) it’s time to cook your patties! 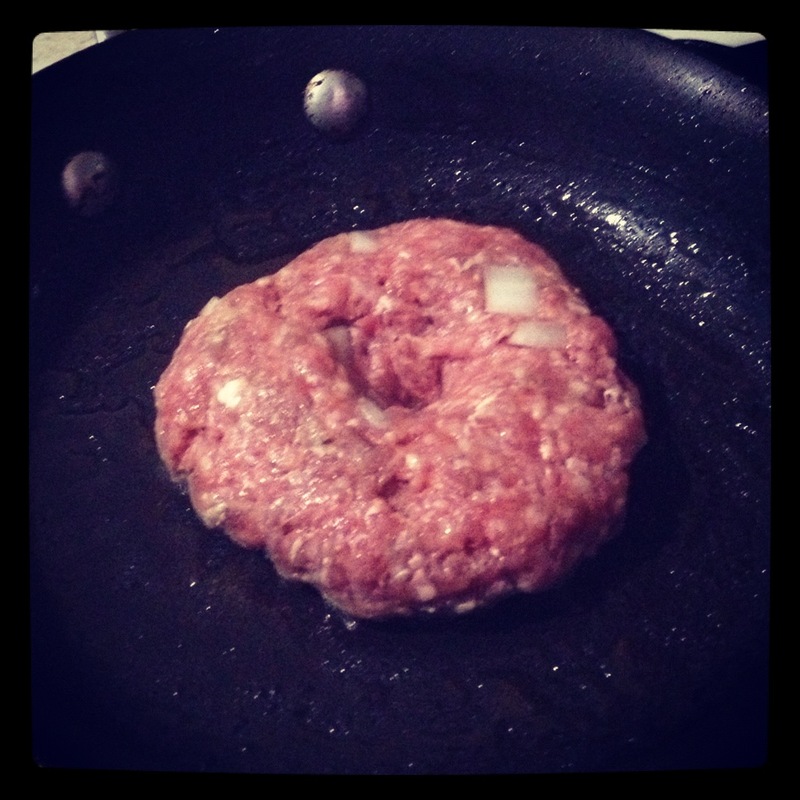 Take the patty and place it in the pan and using your thumb, make a small dip or well in the center of the patty. This will help it cook evenly. Repeat with about two other patties or make them one by one. Use a lid to cover up the pan, since there will be some grease popping around. Cook for about 5-7 minutes on the first side then flip. I usually press down on the patty some to get the grease to squeeze out (and yes, this looks gross :p) Cook until you’re satisfied it’s to your preference. I prefer medium to well-done but other might prefer something different. Once they’re done, place them on a plate with a paper towel underneath to soak up any grease. Now, to assemble! I like to put the lettuce on the bottom bun to make a better balance for the condiments. 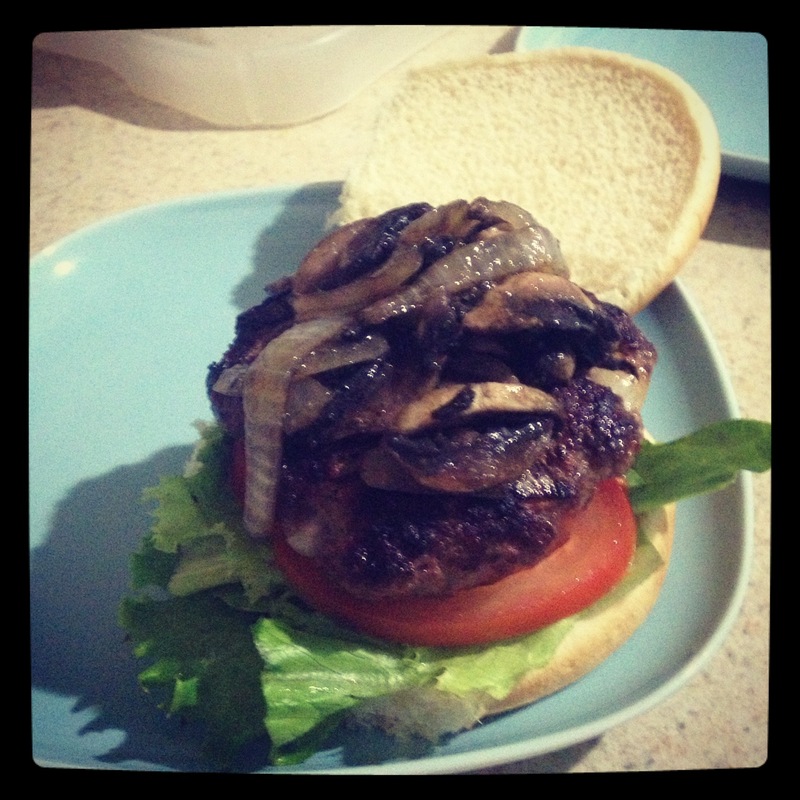 So, I usually do lettuce, tomato, patty, sautéed mushrooms/onion, cheese, ketchup and mustard. It’s really up to you though, since it would be like me telling you how to put your toilet paper on the role!